Freelancer, are you good enough? I recently asked P.S. Jones — freelance writer, owner of P.S. 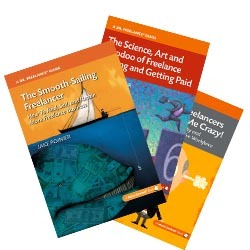 Jones Copy and Design, and the exuberant yet quite sane blogger at Diary of a Mad Freelancer — about the most common question she receives from new freelancers. Today’s guest post is her response.